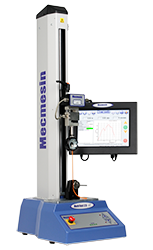 Motorised pull testers are essential to guarantee compliance with international and industry standards since they apply force at a constant pull rate so there is no jerking or sudden application of force which would reduce the repeatability of test results. 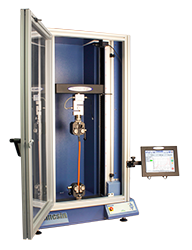 Pull testers controlled by software enable different test routines to be called upon and launched easily by operators. Data is collected rapidly to accurately capture break loads and live graphing with automatic calculations of results clearly indicate the pass/fail status of the samples being tested. Based on the proven MultiTest range, these robust pull testers are very simple to use and highly accurate, from the affordable WTST-dV through to the twin-column WTST rated up to 50 kN.